Whether it’s hanging out at the beach, swim up bar, bowling alley, club, spa, casino or mall…whether it’s doing everything, nothing, or something in between, this trip has something for everyone and the memories you’ll create will be long-lasting treasures! Deluxe Garden View rooms are located on the most peaceful area of the resort, just a stroll away from the beach. This room category features amazing views of the lush tropical gardens that surround the resort from a private balcony or terrace, or facing the pool. 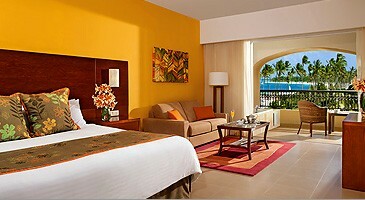 This room is elegantly decorated in a modern Caribbean style décor. All rooms feature a daily refreshed minibar, full bathroom with whirlpool and shower, and 24-hour room service. Bedding: 1 king bed or 2 double beds. 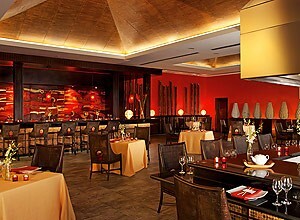 Spice - Serves à la carte Asian cuisine featuring Teppanyaki tables. Bluewater Grill - Casual elegance restaurant offering grilled specialties. Capers - This outside terrace restaurant serves Italian specialties. Castaways - Located on the beach and offers a buffet and snack bar. Mercure - Gourmet a la carte French cuisine in an elegant atmosphere. Barefoot Grill - Offers burgers and hot dogs served beachside. Carnival International Buffet - This restaurant features a variety of local and international cuisine. Windows Buffet - This restaurant features a variety of local and international cuisine. Moments - The serene lobby bar features a range of beverage options. 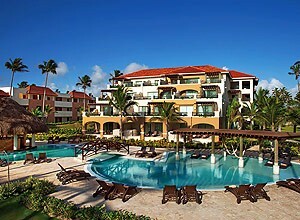 Sugar Reef - Located seaside in the Deluxe Garden View areas. 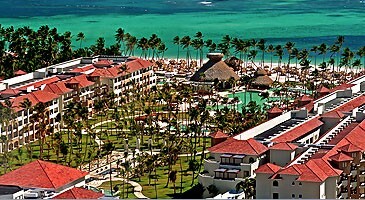 The Reef - Located by the beach. Manatee - Located seaside in the Deluxe Garden View areas, this swim-up bar offers a variety of juices, soft drinks, and Caribbean cocktails. Scores - Sits directly on the NH Plaza and offers big screen TVs, billiard tables, and a bowling alley. Suggested flights only, actual flight availability not guaranteed. Travel Documentation Required: All U.S. citizens traveling by air outside of the United States are required to present a U.S. passport valid 6 months after the date of travel. *pricing is per person based on double occupancy and actual pricing is based on the prevailing rate of the day and availability at the time of booking. 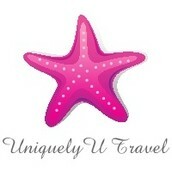 Contact UniquelyU Travel for pricing and availability to add additional guests. Each household should register separately. Leave a note in your registration if you will be rooming with another guest. After we receive your registration form, you will be sent a personalized invoice with terms and conditions.